The Flexcut Carvin Jack review brings a small multi-tool used for woodcarving. 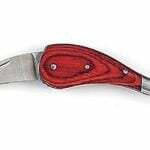 The size of a large pocketknife, this woodcarver’s product is a convenient and portable tool for whittling on the go. It offers six different woodcarver’s implements and is known for its extremely sharp blades. The majority of reviews, more than ninety percent on Amazon, have been strongly favorable. Take an in-depth look into the Flexcut Carvin Jack review to see if it holds up to the high capacity many have claimed it to function at. We will look at the intricacies of the knife, its benefits, purpose, its flaws, and why so many people highly value it. The highlights of this product are its six unique instruments, conveniently portable size, and accessories. Having the six different blades provides a woodcarver’s kit right in your pocket, allowing you to do anything a woodcarver would need to do when at his/her work bench at home. 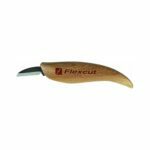 Since the tool is small and easily accessible straight from your pocket, it is convenient to do any kind of wood whittling just about anywhere. Not only do you get the tool when purchasing, but you also receive a pouch and a strop for sharpening whenever you might need it. These features offer promising value from the start. After taking in the details, let’s look at some of the benefits it provides and why this tool is attractive to so many. Convenience: Whether you are sitting in your living room or away on vacation, this tool offers woodcarvers the opportunity to whittle some wood at any time of their choosing. Without need for several large tools or a work bench, this tool allows a carver to work on any piece of wood effectively. Sharp: Every review about the Carvin’ Jack has illustrated how extremely sharp the blades are on each instrument. Some consumers of the product have not found it necessary to sharpen the tool for years at a time because of how well it retains its edge. Without a doubt, this Flexcut Carvin Jack review proves it will be able to hold up to just about any type of wood it is tasked to carve. 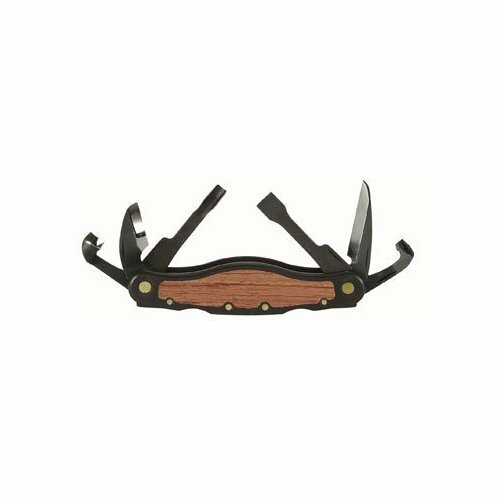 Multi-Tool: Possessing six tools in one is an exciting feature for any device, especially for one of the first multi-tool woodcarving knives ever in existence. The ability to fit six uniquely shaped tools into one carrying knife is not only interesting, but also handy. Having six tools provides a woodcarver with the right utensils to perform just about any action necessary for his/her carving. Although it is an impressive piece of work, it does not come without its disadvantages. Hard to Open: At first glance, this flaw may seem minor, and for many people it is. Nevertheless, this is a flaw that has been experienced not only those who would rate the tool poorly, but also favorably, providing a significant warning to all who use it. As a result of this difficulty, the risk of bodily injury is significantly increased. Users should take care when opening the blades initially to determine if their tool will cause problems in the future. One solution is to press the lock button on the back of the knife to release the locking mechanism. When this happens, many of the blades will be released, so be careful when putting them back into the tool. This flaw can be dangerous, thus, common sense and caution is highly recommended. This is also a warning before buying the tool if you have not already. Let’s move on to the practical usage of the tool. Obviously, this tool is used for woodcarving and the tasks that accompany it. 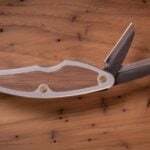 The tool can be used on soft to hard woods with exceptional functionality. The size of projects it is practical for range from small to medium. It certainly will not be nearly as effective on large scale projects, because this is not its intended use. 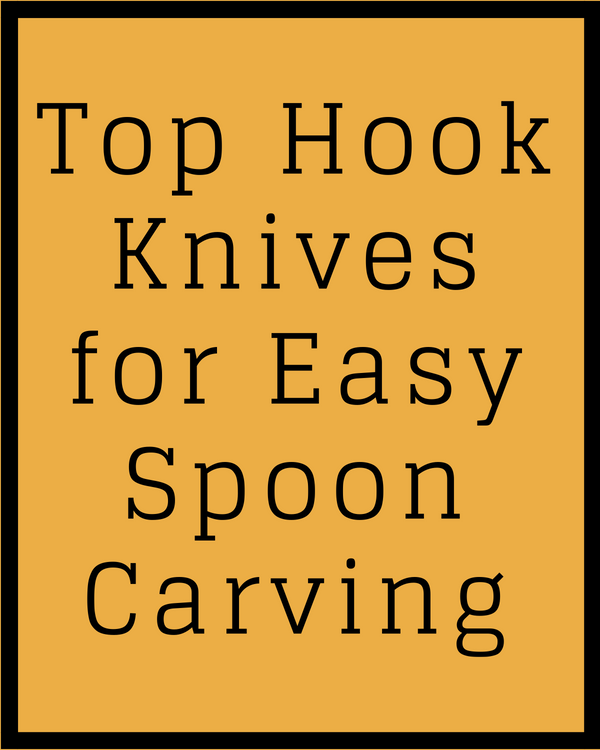 Mainly, carvers should use this tool for wood whittling since most other types of wood working will require larger tools. The Flexcut Carvin Jack review illuminates the extremely valuable quality for this product. Its functionality, uniqueness, convenience, and effectiveness are unparalleled. 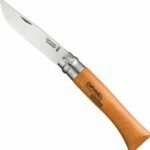 As one of the first of its kind, this tool can be of great use to carvers looking to whittle some wood on the go. It is a hefty price for a small, yet versatile tool, going for anywhere from $120-150. 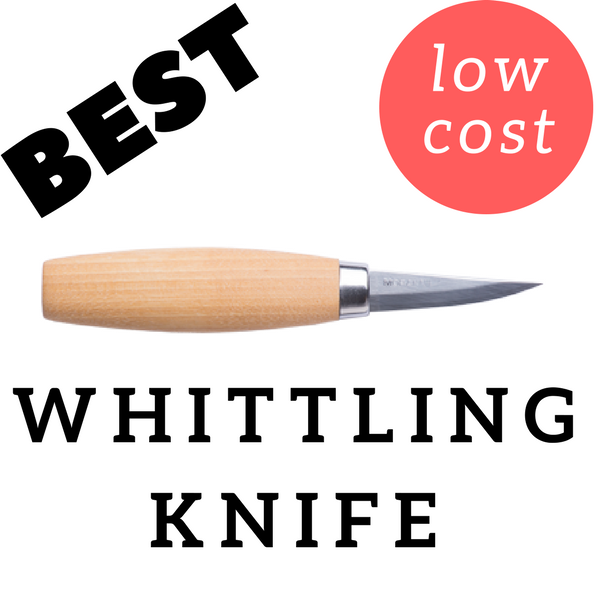 Although woodcarvers of any experience level can enjoy this tool, it would seem that this tool will be attractive to only the more expert wood carving craftsmen/women, mainly as a result of its price. Nonetheless, this tool is worth the money for those who are in need of a convenient, portable wood working kit. Overall, the Flexcut Carvin Jack review outlines the advantages and why it is worth the money, despite the somewhat high price and possible hazard it possesses. 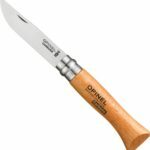 The convenience and effectiveness of the tool is unmatched and offers a unique opportunity to woodcarvers. The ability to carve just about anything, anywhere, is a priceless element that the tool provides. The Carvin’ Jack is a worthwhile tool and deserves the high marks it has received from its buyers. Having never carved before, But having a healthy respect for sharp objects, I have found this tool to be brilliant. 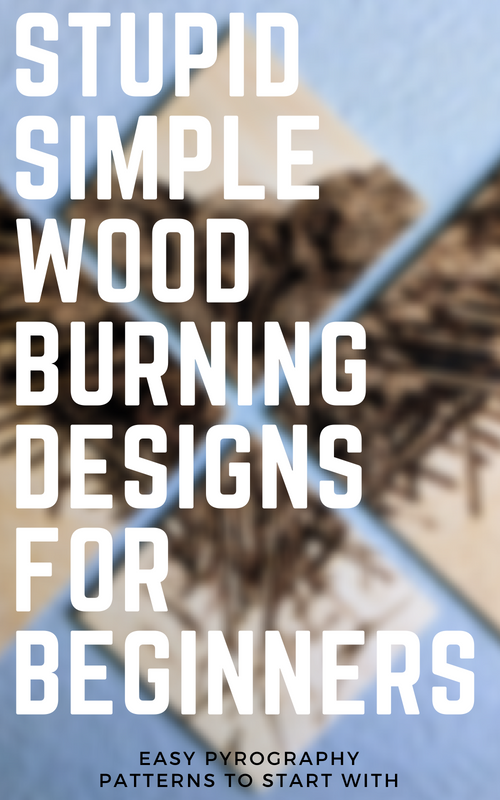 I would highly recommend it to a beginner. Thanks for the generous info on knives and carving. I’m looking forward to making some cutlery, maybe even during my next canoe expedition. That said, this is where I play English teacher and plead for you to explain the technical terms behind the Flexcut Carvin Jack. Or include a link if that’s more straightforward. What does #1, #6, #7 say about a blade – other than not describing the 3/8″ length of it’s cutting edge? At least “Scorp” is a strange enough term that Google quickly shows me one. Unlike “sweep,” which term folks use variously in describing knives. If I’m understanding you correctly you’re wanting to know how each of the knives are used that come with the flexcut carvin jack? 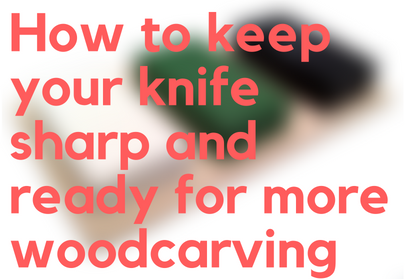 Skip ahead to 4:46, goes over each knife and how it carves with basswood. 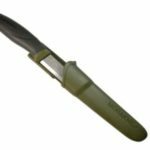 If you’re looking to whittle cutlery getting a good whittling and hooking knife could potentially be more inexpensive compared to using the flexcut carvin jack, but the flexcut carvin jack is less maintenance and pretty handy for on the go situations.